Today we’re exploring Family Fun at Fratello’s in Jesmond and the launch of their new Summer Lunch Menu. 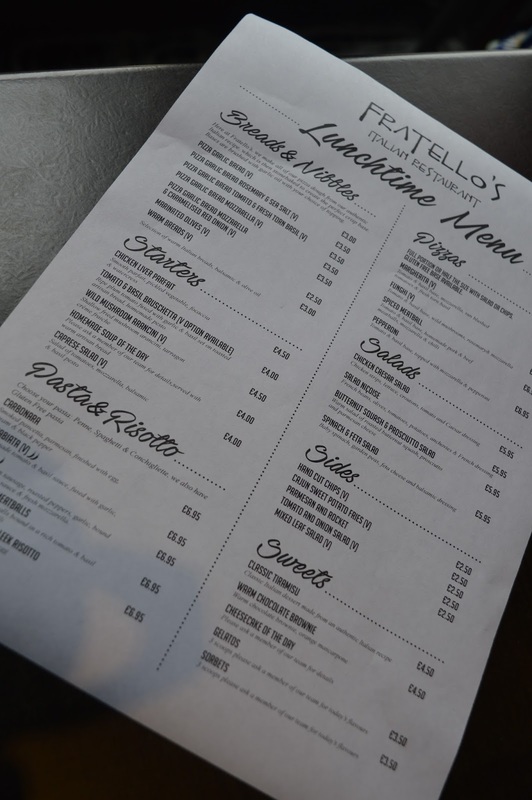 We were invited along on Friday to sample the restaurant’s recently launched lunch menu at the locally famous Fratello’s. Fratello in Italian, simply, brother and why not dedicate this post not to Italian fine dining but what you’ve all come to read about, family fun. As myself and my Madre (mother for all you not fluent in Italian!) 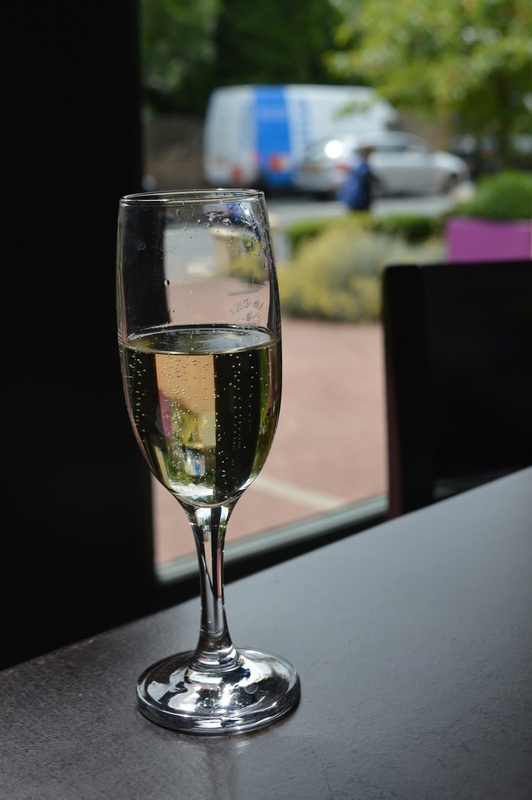 headed up to the Holiday Inn in Jesmond where Fratello’s is the resident restaurant for their launch, the sun was shining and we had that Fizz Friday Feeling. You know the one right? 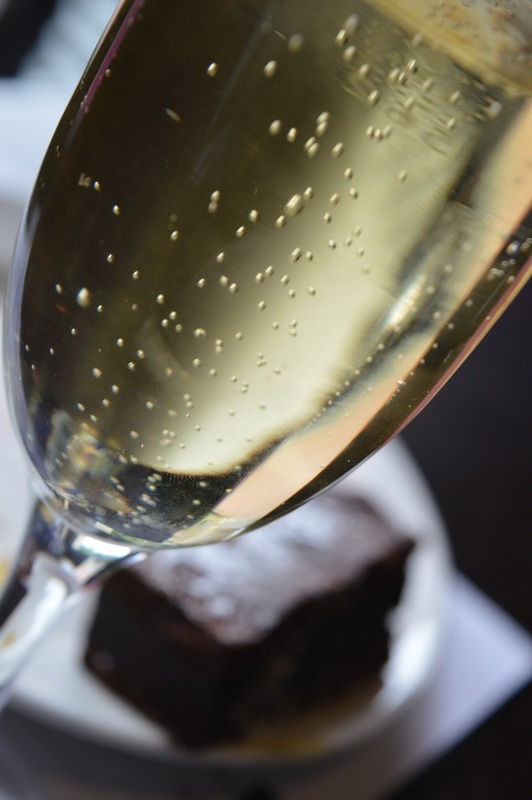 Where you’re thirsty for a glass of fizz?! It happens even more so when the sun is out! It’s not just me, yeah? As we hopped out of our taxi we noticed that the Holiday Inn offers a small but free car park, perfect for those of you with a car. We headed into the hotel bar, which is open to non-residents too we were greeted by the perfect combination; a warm welcome and a cold glass of Moet. Happy Friday readers! After mingling in the rustic looking but very modern bar we headed into Fratello’s and took a window seat, perusing the newly launched Summer Lunch Menu. 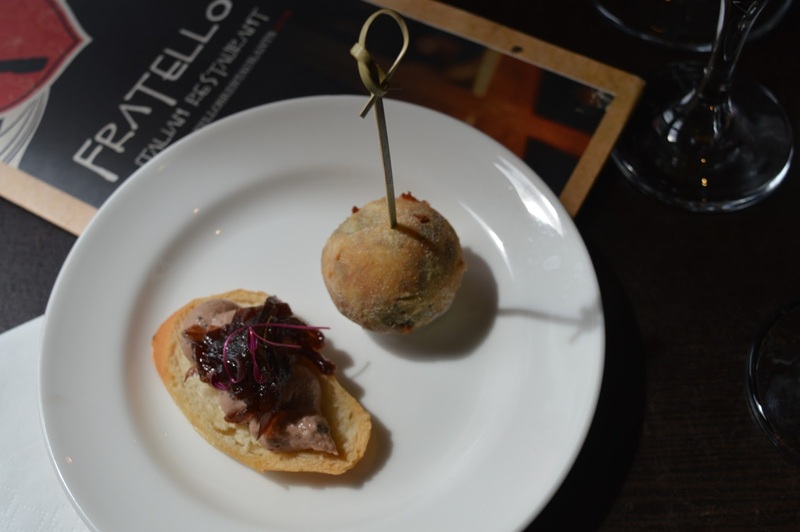 We began our tasting session with Chicken Liver Pate served on bruschetta with caramelised onions. The pate was light and dedicate and the sweetness of the onions added to the flavour. Swiftly after the Pate followed the Mushroom Arancini. If you’ve never had arancini you’ve been missing out. This delicious mushroom and cheese risotto ball lightly fried was served upon a garlic dipping sauce and was extremely delicious. A traditional bruschetta with fresh tomato and onion was next up and super fresh, this is one of my favourite Summer choices as the light olive oil and coriander give a very holiday feel to the dish. Next up; a round of crisp leaf Caesar Salad, which was served with chicken and bacon in a light Caesar dressing with croutons and parmesan in a lettuce leaf. Perfect for the Summer as a light dish and is a perfect accompaniment to make at home if you’re having a BBQ. The niçoise salad made the rounds next which again was fresh and delicious with a light dressing, potato, olive oil, onions sardines and tuna served again in a salad leaf. An in vogue trend right now. The mains: out came the taster pizzas on a mouth watering thin crisp pizza base. The lunch menu Pizzas have four delicious toppings to choose from; a simple Margherita, spicy meatball, pepperoni and finally a mushroom one for the vegetarian diners. The pizzas also come on a gluten free base for those of you coeliacs amongst us who often miss out on a good hearty pizza. Although we didn’t get a taste of the pasta dishes they sounded delicious and with Arribiata being one of my personal favourites I’m sure to head back very soon to try it out. As the champagne was bottomless and my Mother making friends with the lovely Irish lad, Ryan, who was in charge of champagne she was never without a drink. For those amongst us not drinking a sparkling Appletiser was on offer. The final course, chocolate fudge brownies with an orange mascarpone were served. 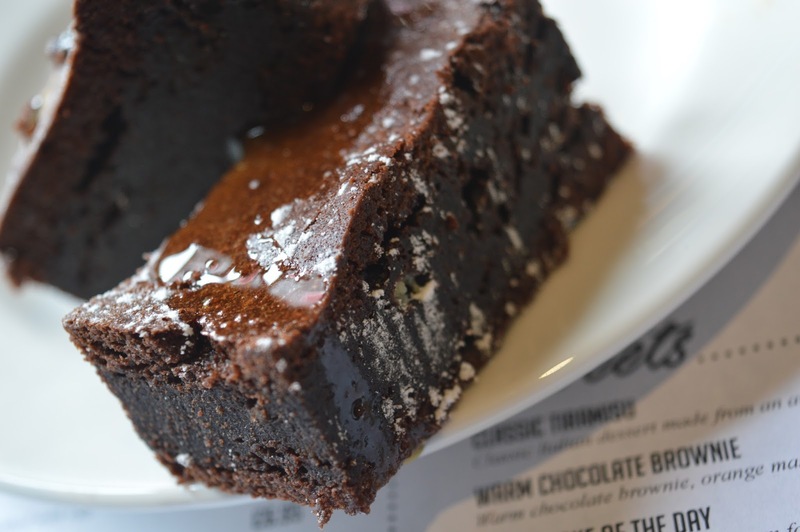 These were delicious, they were chocolatey and gooey and everything a brownie should be, they even transported me back to my childhood as they are one of my favourite childhood treats. I couldn’t help myself, I ended up with seconds…and thirds…well they were only tasters after all! As we finished up our drinks and food we chatted to some of the staff who were very friendly and accommodating, they talked us through the facilities the hotel has to offer. Whilst the restaurant on this busy Friday afternoon was full of professionals grabbing a bite over their lunch break or those having a casual lunch meeting, this location is a prime spot for those looking for a city centre escape. The benefit of the location of the Holiday Inn is that it is not middle city centre and a positive for families is that the rates are slightly less expensive than those of central city centre as the Holiday Inn is situated in the upmarket suburb of Jesmond. A gorgeous boutique area with independent stores and an array of restaurants, coffee shops and other eateries. Only a 10 minute walk to Northumberland Street for those who wish to walk and one stop on the metro into the city which is a minute or two’s walk from the hotel, this amenity also offers fast transport to the coast (20 minutes travel time) for a day at the beach with the family. A personal recommendation if heading to the coast is to visit Tynemouth, an award winning village with the most beautiful blue flag beaches, a bustling market every weekend with lots for all the family to browse and purchase, as well as not forgetting a fabulous mix of cafes and bars. There’s a beautiful viewing point and rich history all located at the Priory Castle, where your little ones can be transported back hundreds of years to become brave soldiers and knights inside the castle. The Priory often holds lots of events throughout the year so it’s worth checking out What’s On, if you’re visiting in July each year The Mouth of the Tyne Festival draws in scores of people with their mix of artists performing on the cliff top. Back to the Holiday Inn, and although the hotel doesn’t have specific large family rooms if travelling with more than 2 small children they do offer two bedroom apartments in their apartment block adjoining the hotel which also belongs to the hotel owners, The Cairn Group. The apartments are located at 91 Jesmond Road. A stay at the apartments also includes use of all the facilities within the hotel including access to the 24-hour lounge, bar and cocktail bar, live entertainment and use of the mini gym. Breakfast in the hotel is also available to those staying in the apartments. When dining in Fratello’s and in the hotel bar kids under 12 eat free with any main adult meal purchased and with a selection of pizzas and pastas you really can’t go wrong. There’s no date or time restrictions on this offer too. Just make sure you inform your server you wish to take up the offer when dining. 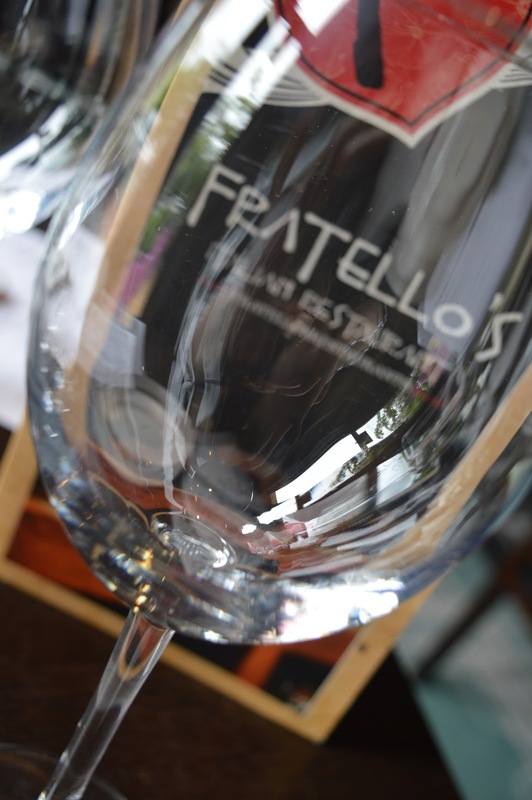 Fratello’s also have locations at Newcastle Airport in the Double Tree Hilton & at The Holiday Inn at Scotch Corner. Thanks Laura for this fabulous post, I can't wait to return to Fratello's soon. 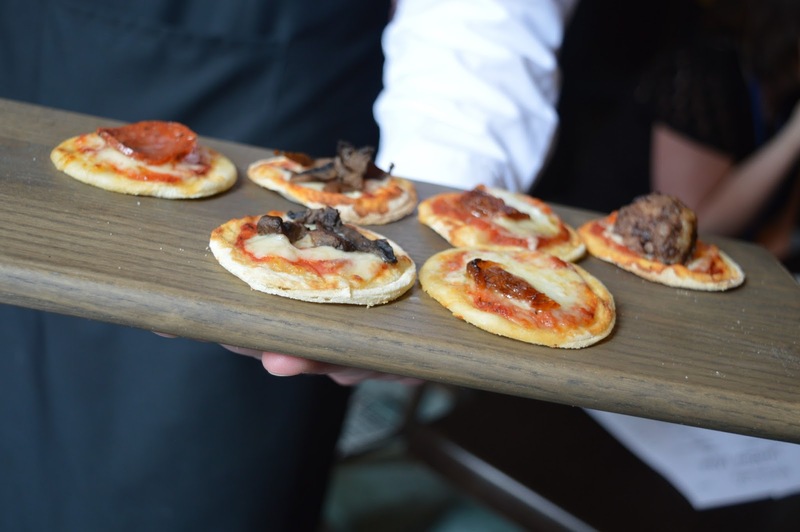 Disclosure: Complimentary food & drinks were served at the Fratello's summer menu launch.